Opera Atelier is a world leader in the rediscovery and revitalization of period opera and ballet, particularly works from the Baroque era. Through their historically informed productions, Founding Co-Artistic Directors Marshall Pynkoski and Jeannette Lajeunesse Zingg seek to provide a thrilling theatrical experience for modern audiences. 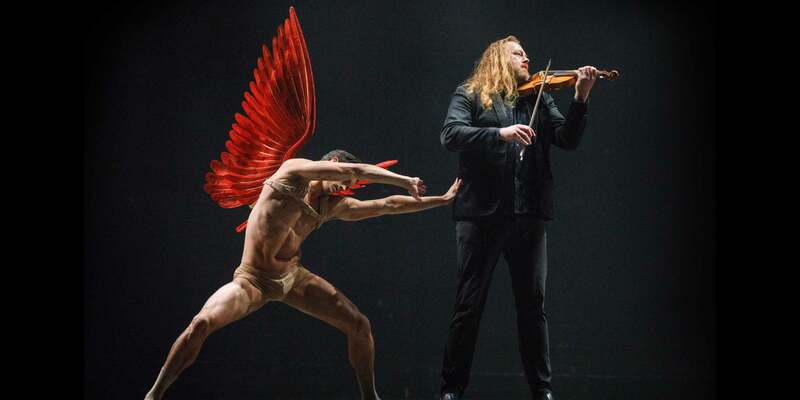 Opera Atelier’s productions are performed with Tafelmusik Baroque Orchestra on period instruments, and incorporate music, dance and theatrical staging with strong production values. Based in downtown Toronto, Opera Atelier produces twice a year in the heart of the city’s theatre district. The company is also in high demand internationally, and tours extensively in support of its mandate. Opera Atelier is dedicated to the education of youth and young artists, and offers a robust slate of education, enrichment and outreach opportunities that engage and educate new and existing audience members of all ages, particularly youth. 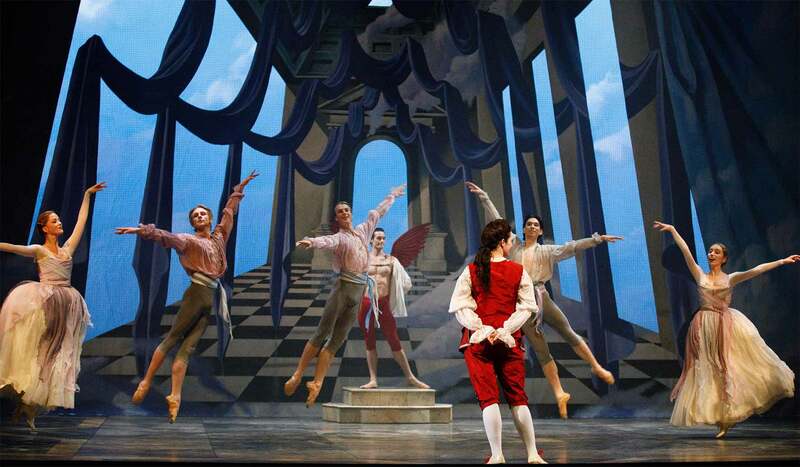 Opera Atelier is Canada’s premier period opera/ballet company, specializing in producing opera, ballet and drama from the 17th and 18th centuries. While drawing upon the aesthetics and ideals of the period, Opera Atelier goes beyond “reconstruction” and infuses each production with an inventive theatricality that resonates with modern audiences. These productions feature soloists of international acclaim, period ballet, original instruments, elaborate stage decor, exquisite costumes and an imaginative energy that sets Opera Atelier apart. Since 1985, led by founding artistic directors Marshall Pynkoski and Jeannette Lajeunesse Zingg, Opera Atelier has garnered acclaim for its performances at home as well as in the United States, Europe and Asia. Our mission, simply stated, is to be recognized internationally as the leading interpreter of period opera and to shake off the preconceptions about “period production” by reimagining and revitalizing the great works of the entire operatic canon. What do we mean by “period production” and “historically informed”? Opera Atelier’s mandate is to produce period opera/ballet/theatre in a “historically-informed” manner. What has always driven Opera Atelier’s artistic team has been the desire to explore the original intention of composers, librettists and choreographers and to try to understand their creations in the context in which they were first created. This does not mean that we are a museum company or are slavishly copying something that has been created in the past, rather this interest in “original intention” becomes the catalyst that allows us to create something brand new. When we use the word “period” it is used in its broadest sense – all time periods are fair game, although our chief interest still spans 17th to 19th century repertoire. We are not producing a re-creation of the original work; rather, each production is a new creative effort which takes its own place in history. Opera Atelier strives to create productions that would have been recognized and respected in their own time while providing a thrilling theatrical experience for modern audiences. Co-Artistic Directors Marshall Pynkoski and Jeannette Lajeunesse Zingg co-founded Opera Atelier in 1983 and started presenting fully staged productions in 1985. They have been honoured by foreign governments (Ordre des Arts et des lettres from the Government of France), their peers (Opera Canada Ruby Award 2007) and by the City of Toronto (Muriel Sherrin Award for outstanding contribution to music in Toronto) for their contributions to the performing arts. Opera Atelier productions and artists have been nominated many times for Dora Mavor Moore Awards and won in 2005 and 2007. Adding to Opera Atelier’s artistic excellence is its long-time partner, Grammy-nominated and Juno Award-winning Tafelmusik Baroque Orchestra, the world’s leading orchestra on period instruments. Opera Atelier has been acclaimed throughout Canada, in Houston, Cleveland, New York, Chicago, Stuttgart, Halle, Bremen, London (BBC Proms), Paris, Montreux, Citta di Castello, Singapore, Japan, Korea and 5 tours to Versailles, France. Opera Atelier has collaborated with some of early music’s most distinguished artists including Andrew Parrott, Trevor Pinnock, Hervé Niquet, Marc Minkowski and many others. BBC Music Magazine, Editor’s Choice in Gramophone Magazine, or Record of the Year in Absolute Sound Magazine. Masters in transporting audiences to the worlds in which their instruments inhabited, the musicians of the Tafelmusik Baroque Orchestra and Chamber Choir are always seeking out new ways to remain vibrant and relevant to modern audiences. Whether in crosscultural collaborations, on stage with Opera Atelier, with the annual tradition of Sing-Along Messiah with Herr Handel at the podium, or at a bar for the new Haus Musik series, theatricality has become a Tafelmusik trademark. Multimedia programs such as The Galileo Project: Music of the Spheres (which resulted in the naming of asteroid “197856 Tafelmusik” in 2012) conceived by bassist Alison Mackay, fuse narration, projected images, and music, and have received huge acclaim worldwide.